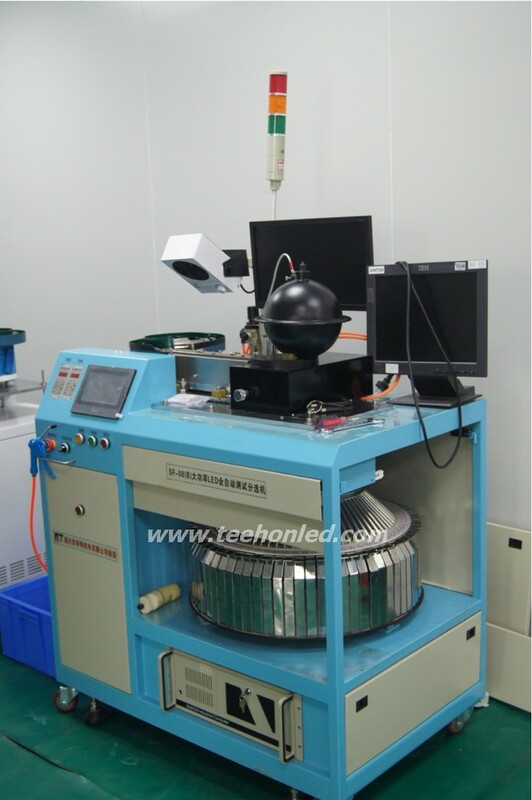 By our automatic die bonder, we can fix the LED diode onto the reflecting bowl of the base. 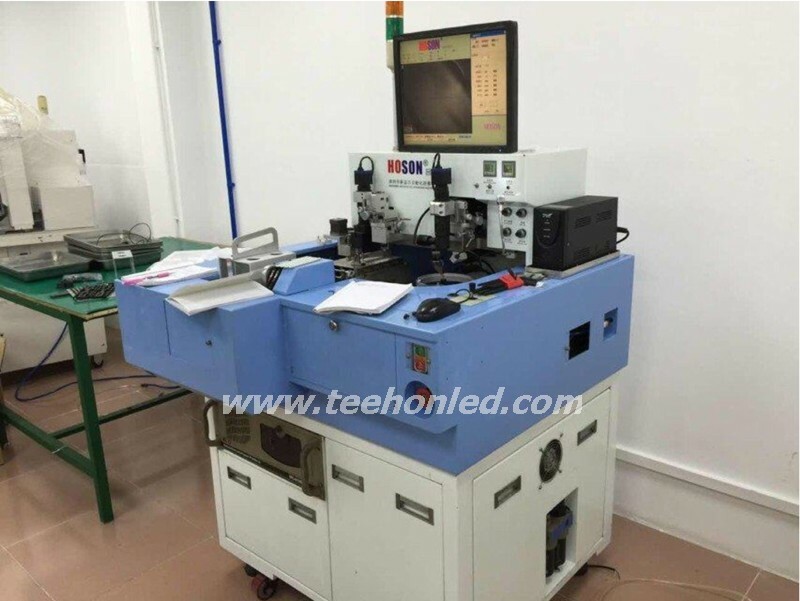 Our automatic wire bonder can weld gold wires and connect the led diode with the positive&negative pole pins. 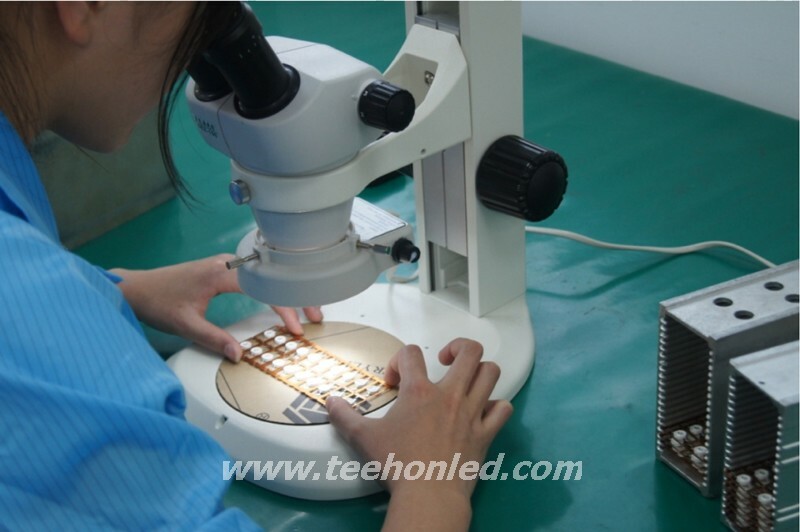 After that, our engineers will inspect the quality of led diode fixing and gold wires welding by microscope. 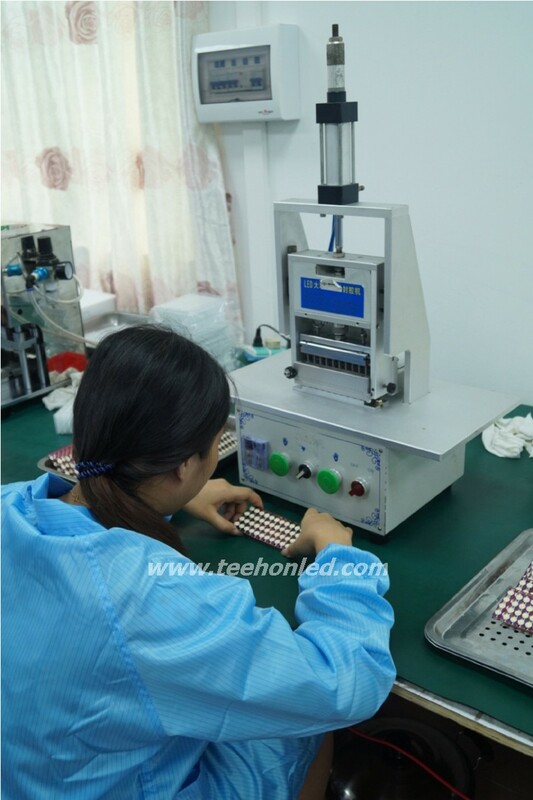 The fluorescent power automatic dispenser will be used to pour the fluorescent powder onto the LED diode. 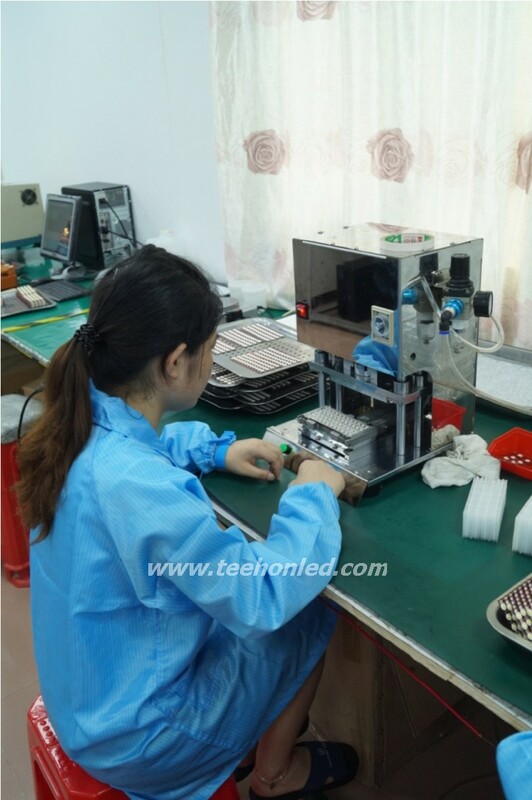 Now you can see a glue injection machine is used to pour the silicon glue onto the base of led bulb by hand in order to wrap the fluorescent power. Also, we can use fully automatic glue injection machine sometimes to improve the efficacy. 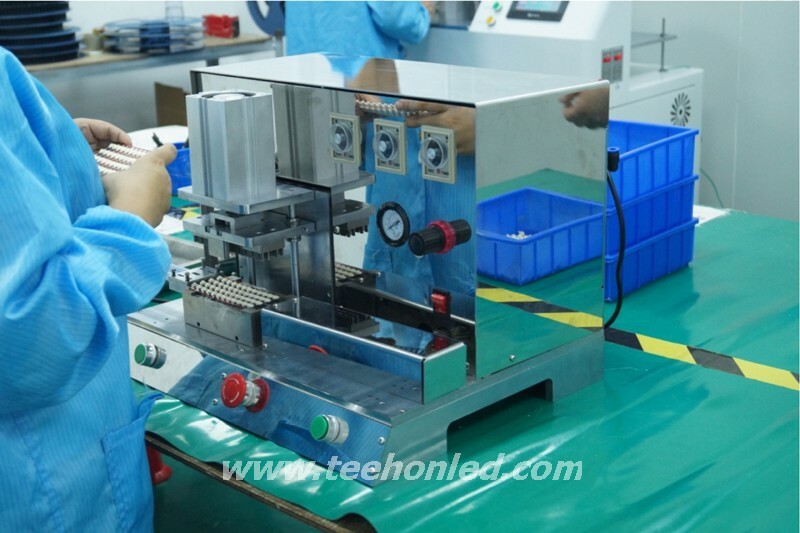 The automatic lens cover machine will put the epoxy resin cover onto the led bulb. 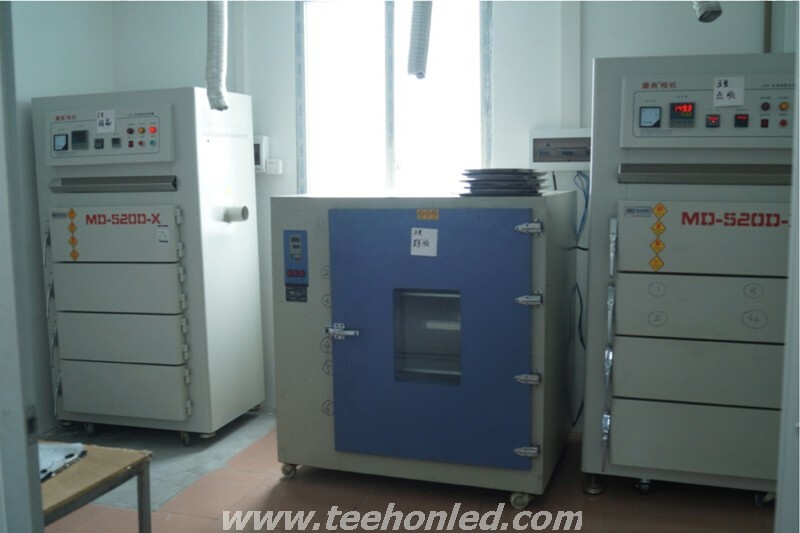 The automatic constant temperature oven can bake the fluorescent powder and silicon glue. 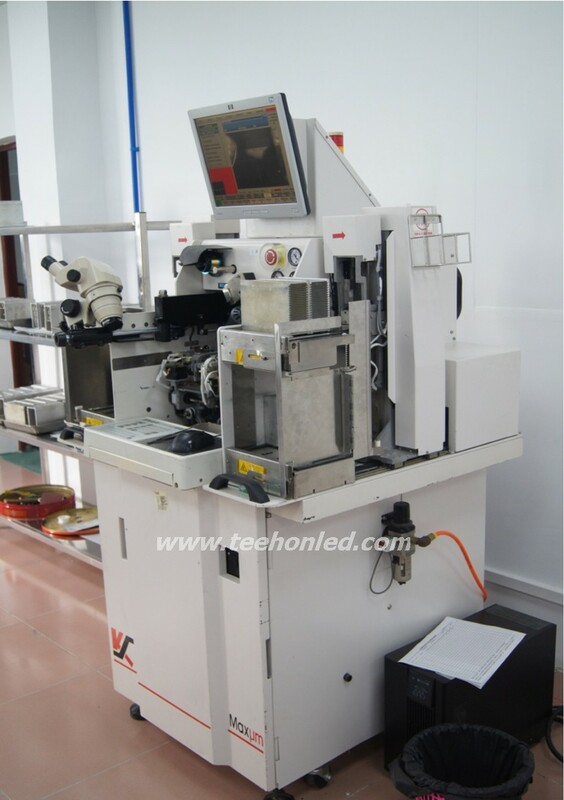 The LED sorting machine can be used to sort out LED bulbs that have different color temperatures. 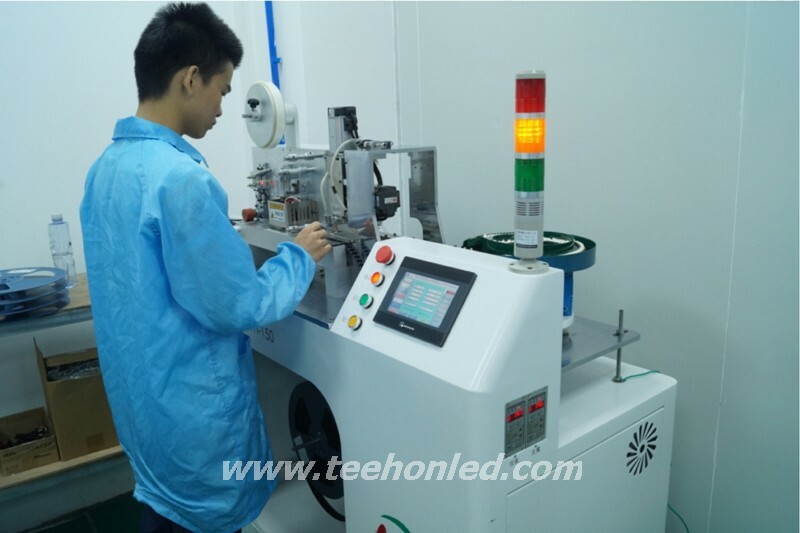 Threshing machine is separating the finished LED bulbs for package. Before warehousing, a tape and reel machine will braid the separated LED bulbs to the strip and seal it into the tube. In order to identify the specific color temperatures, our staff will use optical integrating sphere to examine the luminous flux and color temperature of different LED bulbs.